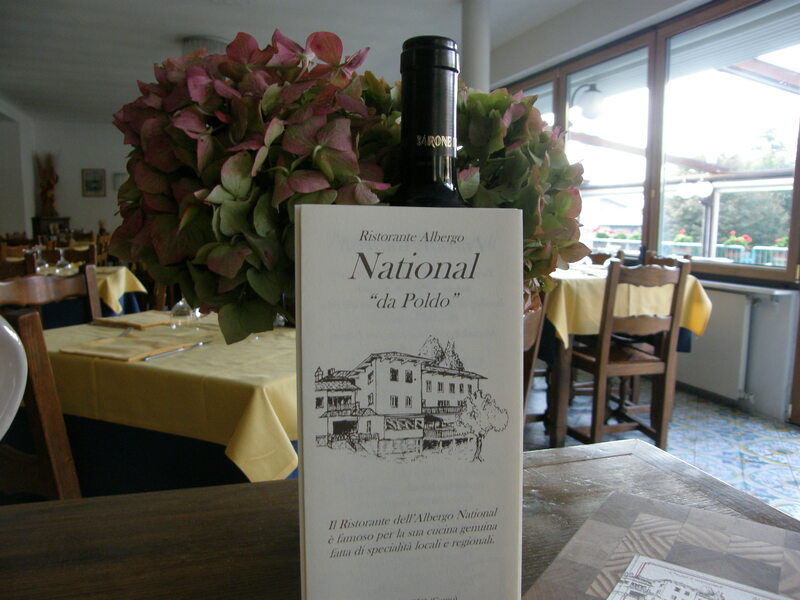 The restaurant of the National Hotel is famous for its genuine and typical cuisine, which covers local and regional specialties. We believe in the power of tradition and simplicity: illustrated by dishes from our culinary history and fresh ingredients from our area. 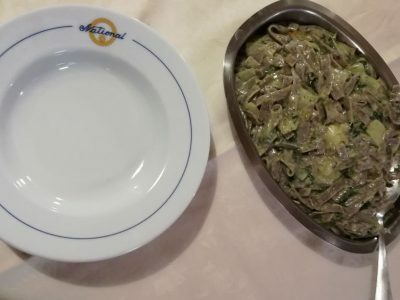 You can eat main courses such as “cassoeula”, prepared with homegrown cabbages, “pizzoccheri” cooked with homegrown vegetables and a local cheese which gives it such a unique flavor. We offer lake fish dishes, such as “risotto al pesce persico” (risotto with lake perch) or “lavarello al burro e salvia” (whitefish with butter and sage). Another dish to sample is the delicious polenta which accompanies many meat dishes such as: “polenta con cinghiale” (polenta with wild boar), “lepre in salmi” (jugged hare), “coniglio alla cacciatore” (rabbit stew), “brasato” (braised meat). You can’t miss the home desserts. We can also suggest the perfect wine to be served with each course. Our canteen offers a great variety of local and national wines. The restaurant can also be a perfect location for wedding parties and important ceremonies. In addition to the beautiful main dining room and the lovely outside terrace can be closed in case of rain, which is ideal for buffet and aperitifs. 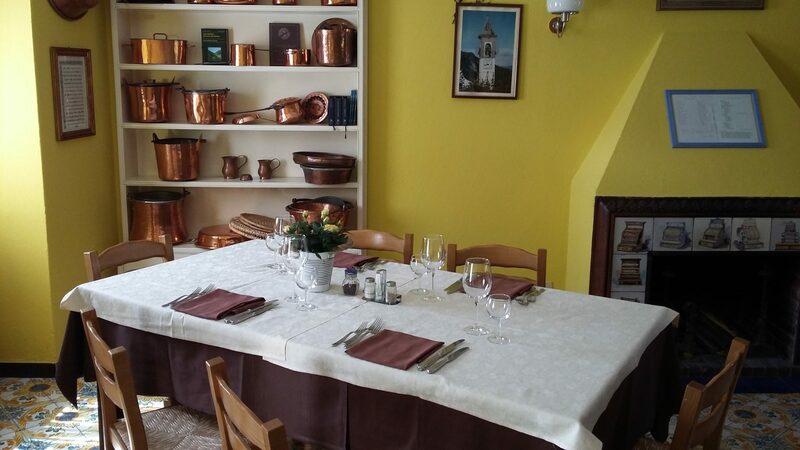 If you wish to have a more private dinner we will prepare a table for you in a cosy dining room, decorated in a particular style and warmed up by a historic and artistic chimney. However in summer, the romantic terrace with panoramic view is a must. We also offer a special menu for children.